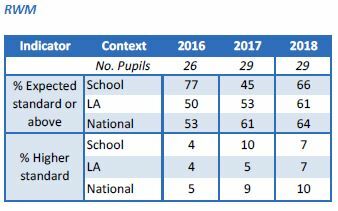 The new Key Stage 2 tests 2016 were the ­first year of the new Key Stage 2 tests in maths, reading and grammar, punctuation and spelling. The tests assessed children against a national standard. This year’s tests are the ­first tests to reflect the new primary curriculum, which was introduced in 2014. The children’s results in each test have been reported using a scaled score. A scaled score of 100 represents the expected standard for each test. If a child gets a scaled score of 100 or more it means they are working at or above the expected standard in the subject. If a child gets a scaled score of less than 100 it means that they may need more support to reach the expected standard. The highest scaled score possible is 120, and the lowest is 80. You can fi­nd more information on scaled scores by clicking this document. As the new standard is higher than the old one, in general, fewer children have met the new expected standard than the previous standard. 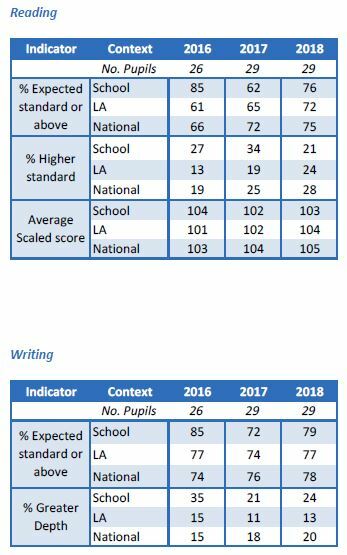 The graphs below show how our fantastic Year 6 children have done in comparison to children locally and nationally in terms of an average scaled score and an overall percentage attaining the expected standard. To compare Pool Hayes Primary to schools across England and to view average progress and attainment data please click here. 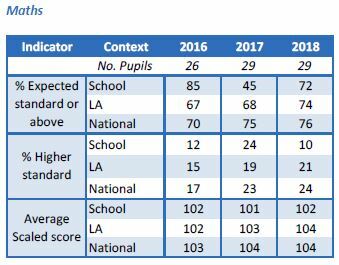 The following results show the percentage of pupils achieving the expected standard in reading, writing and mathematics, average progress in reading, writing and mathematics and the average scaled score in reading and maths. For easy comparison we have also included our results for 2016 and 2017.